Originally a water fortress on the Amber Trail that connected the Mediterranean region with the Baltic coast, documented in the first half of the 14th century, the building was converted to a Renaissance chateau by Friedrich of Žerotín. Damaged during the Thirty Years’ War it was restored, with the addition of a south-west wing, by the Lords of Valdštejn. The next owner, Count Sinzendorf, was the supreme court chancellor. 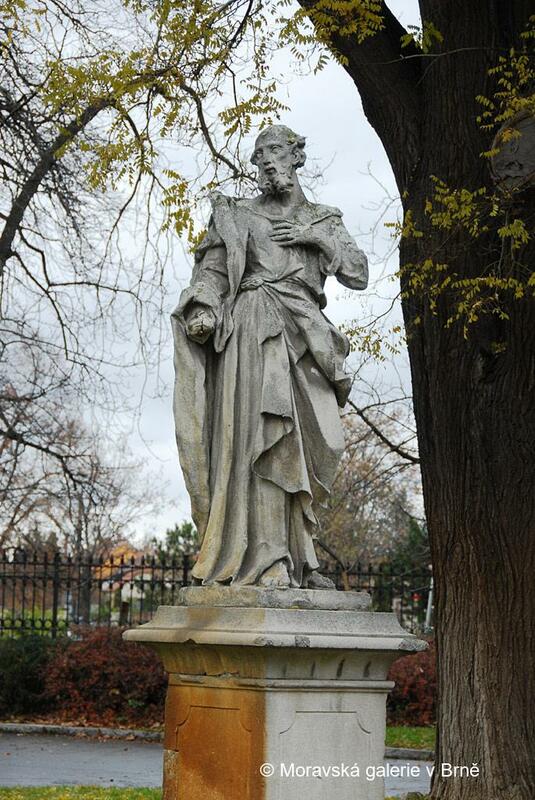 He took part in several peace negotiations with the French King and was a general superintendent of the Vienna Academy. In 1743 the chateau was sold to the Dietrichsteins who held the demesne until 1819. 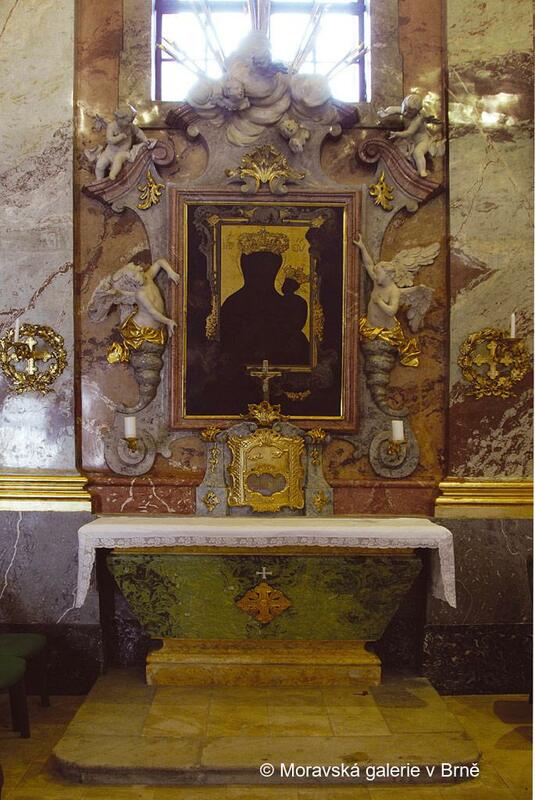 It was then purchased by Albrecht Duke of Saxony and Těšín, son-in-law of Empress Maria Theresa. 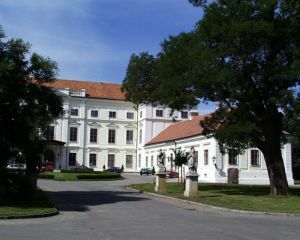 The main building of the two-floor, two-wing chateau is adjoined by ground-floor sections making up a ceremonial courtyard that opens in the direction of Židlochovice town. In the left section there is the former riding hall and administration building, and also a chapel which is open to the public. 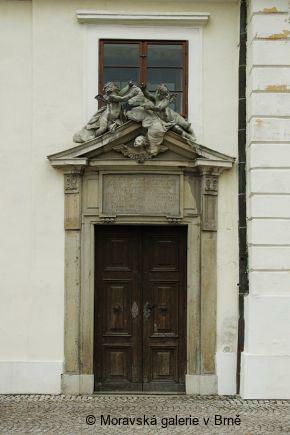 The frontage is segmented by shallow bays with a skittle balustrade and a tympanum, decorated with flower festoons. 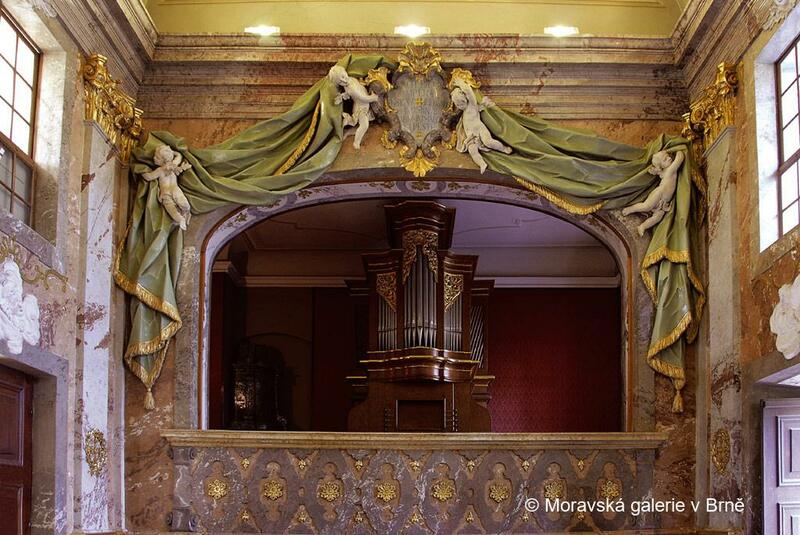 The entrance hall with a spectacular staircase, and the interiors, are in the late-Classical and Neo-Baroque styles. They contain hunting trophies and a gallery with paintings by Dutch masters. Together with a pheasantry and game park, the chateau constitutes a unique hunting complex, bearing witness to the strong local hunting tradition. 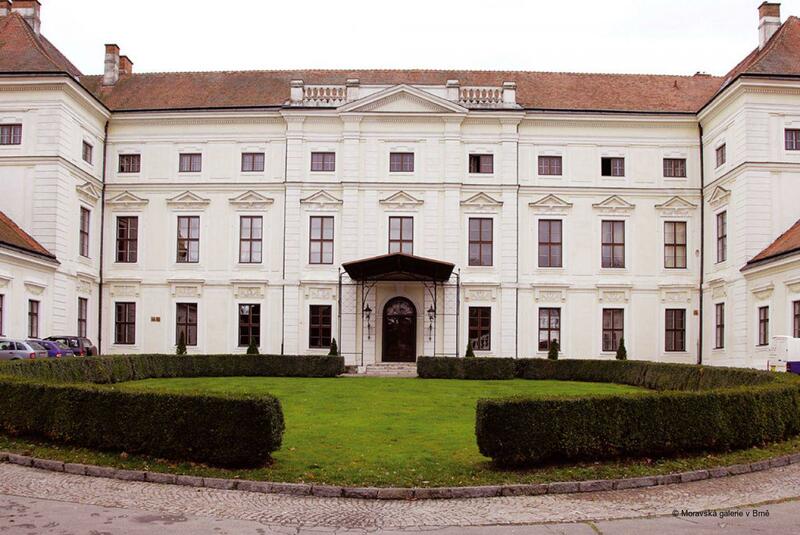 The chateau was built by an imperial chancellor on the site of an older residence. 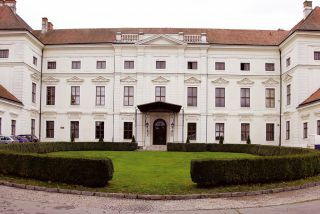 The chancellor – who took part in several peace negotiations with the French King and was a general superintendent of the Vienna Academy – built a chateau that exemplified the new Classicism. It was one of the first chateaux to feature a ground plan with a U-shaped ceremonial courtyard. It can be considered as “correspondence architecture”, for the building was designed by a local master builder following a plan sent to him by an architect from the Parisian royal court. The garden was considered one of the most beautiful in the country. The chronology of the sculptors’ work is preserved in a contract, while dated designs are preserved in the Bibliothéque Nationale in Paris and in the Moravian Gallery in Brno. Correspondence between Count Sinzendorf and Master Kaltner has survived, alongside inventories, receipts, plans of the garden and technical equipment. The design followed an existing building which on the north side was to be flanked by ground-floor side-wings ending in prismatic constructions. The main frontage is made more striking by a protruding circular hall. Older fortifications prevented the completion of all but the east wing. The “correspondence plan” from the royal court architect in Paris was adjusted to local conditions by the builder Ludwig Sebastian Kaltner. 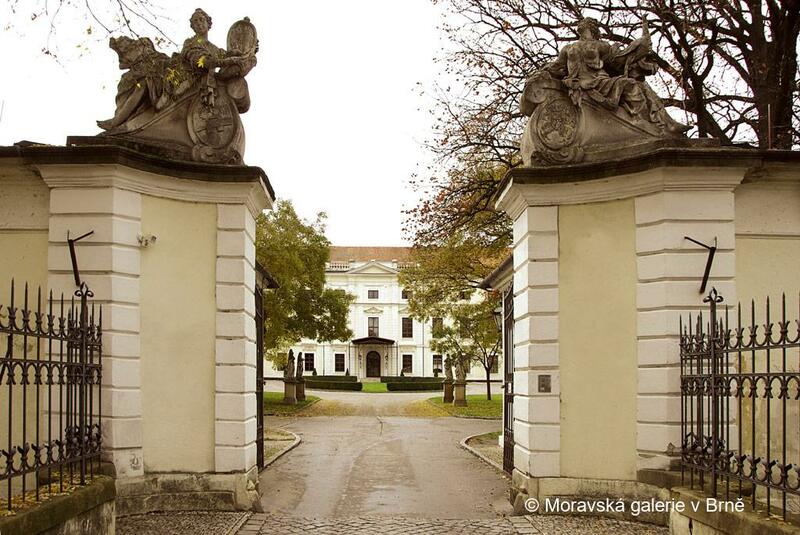 The ceremonial courtyard is closed off by low out-buildings joined by the entrance gate. 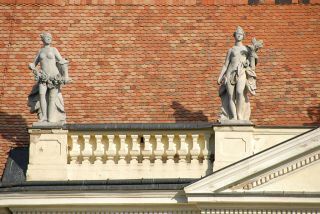 In the frontage, by the entrance to the chateau, are allegorical female figures bearing the coats of arms of the Sinzendorfs and Valdštejns. 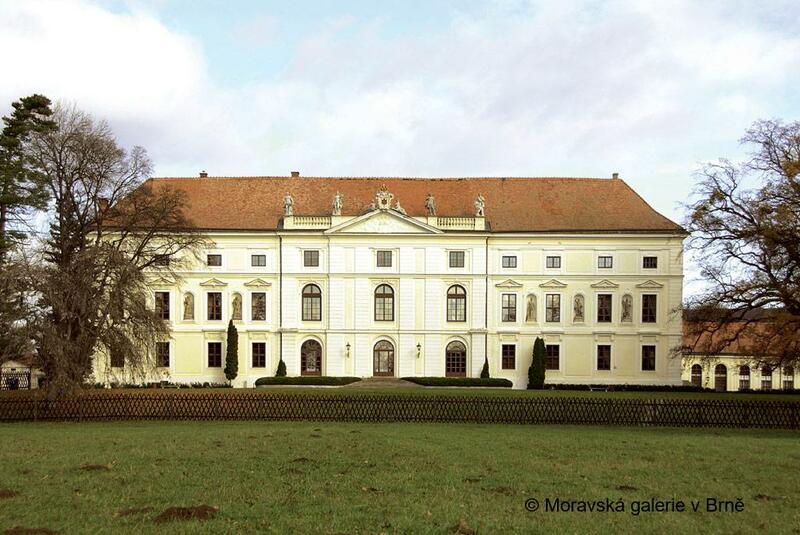 Archduke Friedrich of Habsburg demolished the existing fortifications, filled the moats and reconstructed the chateau in the Empire style. 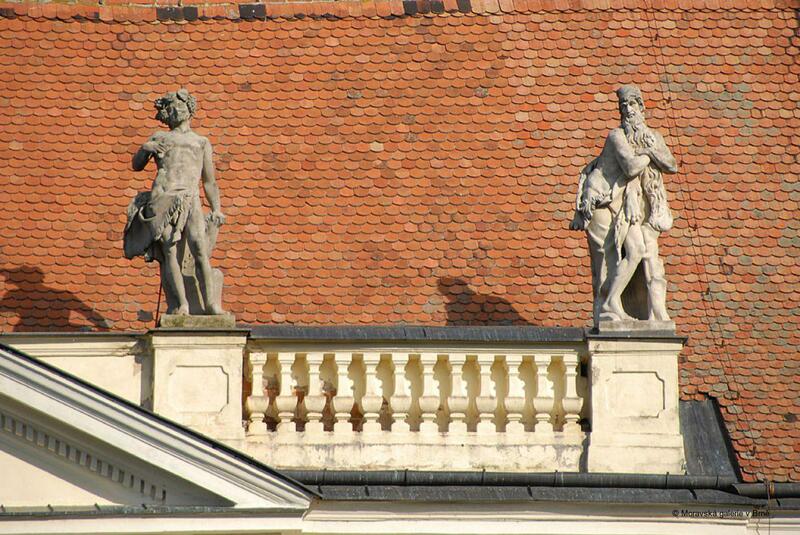 Parts of the side wings of the ceremonial courtyard were lowered and the frontages unified in a Neo-Baroque style. The statues of Saints Anne and Joachim, along with the Virgin Mary and St. Joseph, originally adorned the chapel entrance. The garden was designed as part of the chateau reconstruction. 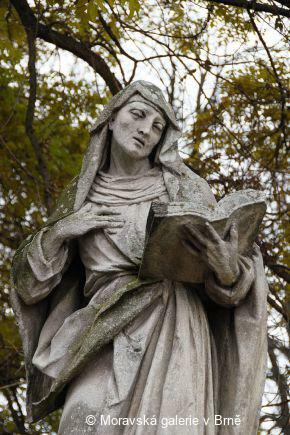 The French architect, Charbonier, worked on the site in 1714–15. The chateau frontage opened onto the garden through a terrace with a three-shouldered staircase with statues that also decorated the garden. 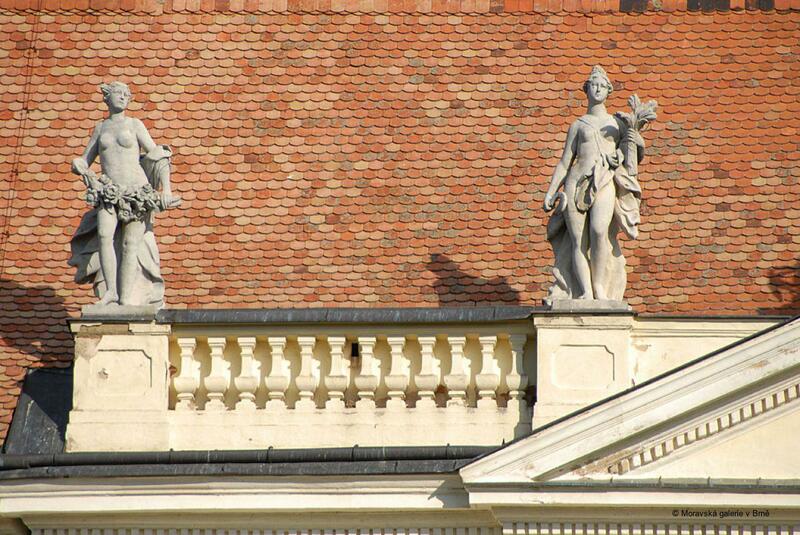 Today they are found in the niches of the stereotomous frontage with sharp linear elements. The axis parterre was lined by double pathways and the chateau was encircled by a moat. The garden, with a conservatory, was considered one of the most beautiful in the country. The local gardener, Hatzl, was summoned to the court of Maria Theresa and put in charge of the Schönbrunn gardens in Vienna. 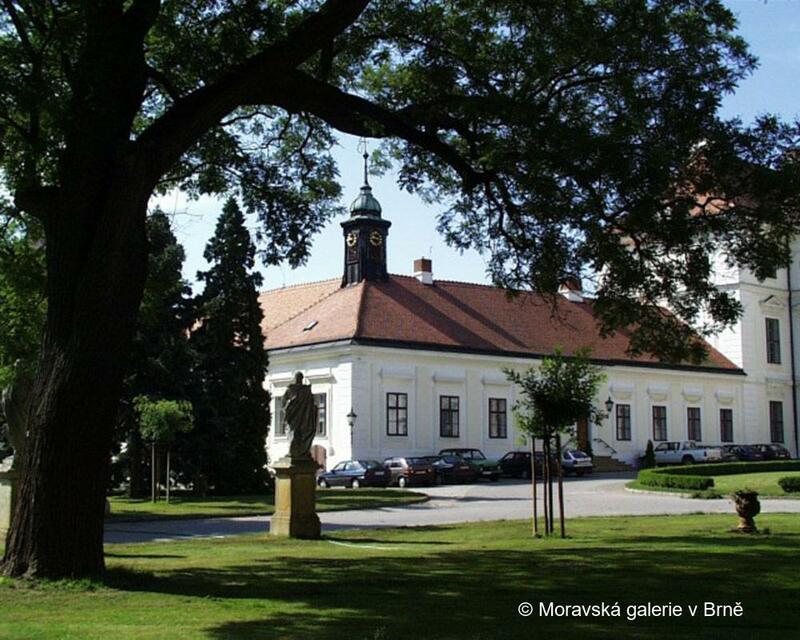 The first hot-air balloon in Moravia was launched outside the Židlochovice Chateau in 1784. 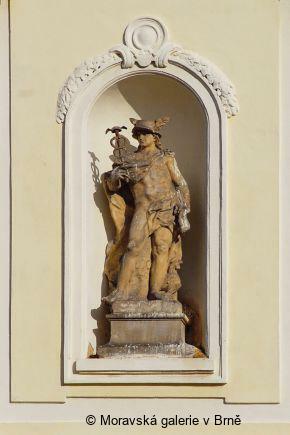 The chateau frontage is segmented by windows and niches with statues – allegories of the seasons and figures of ancient gods. A court architect who trained in Vienna and in Rome continued the construction of the chateau and completed the rectangular chapel in the south wing. 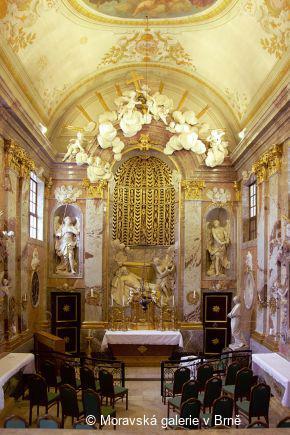 The relief decorations, with the Laying of Christ in His Grave on the high altar, and the Madonna of Old Brno and the Death of St. Francis on side altars, were created by court sculptor Johann Stern, brother of the painter Josef Stern. 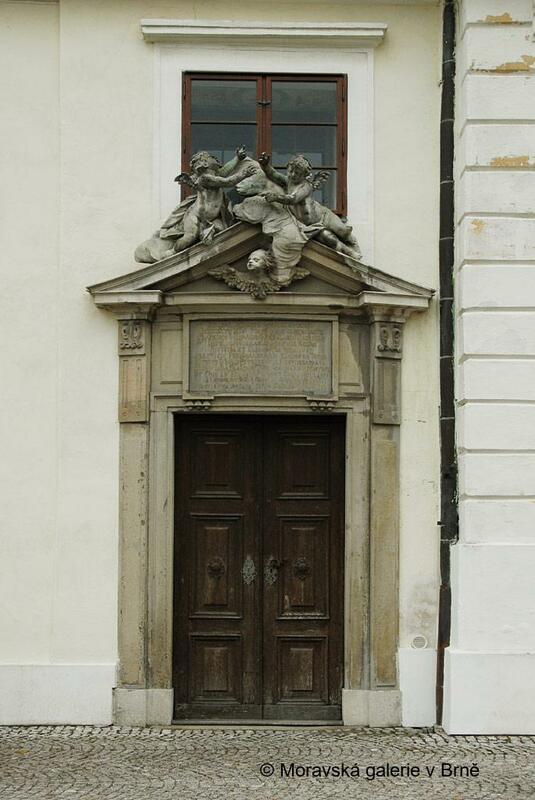 The chapel portal, designed by Grimm, was executed by the Brno stonemason Joachim Günther. Václav Richter, Neznámý plán židlochovického zámku, Umění 4, 1956, pp. 171–173. Ivo Krsek –­­ Zdenek Kudělka (ed) –­­ Miloš Stehlík –­­ Josef Válka, Umění baroka na Moravě a ve Slezsku, Prague, 1996, pp. 60, 305, 308. 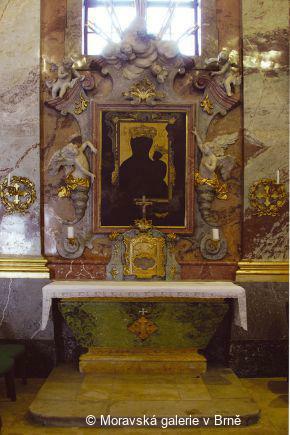 Miroslav Plaček, Hrady a zámky na Moravě a ve Slezsku, Prague, 1999, pp. 381–383. 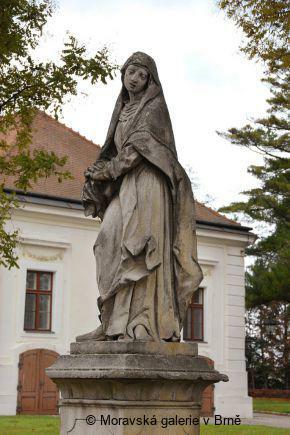 Božena Pacáková-Hoštálková –­­ Jaroslav Petrů –­­ Dušan Riedl –­­ Antonín Marián Svoboda, Zahrady a parky v Čechách, na Moravě a ve Slezsku, Prague, 1999, pp. 435–436. Jiří Kroupa, Ludwig Sebastian Kaltner a Morava, in Jiří Kroupa – Tomáš Jeřábek a kol. 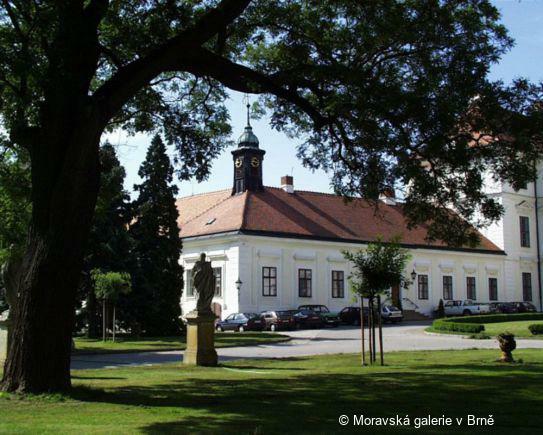 (ed), Brněnské paláce. Stavby duchovní a světské aristokracie v raném novověku, Brno, 2005, pp. 131–133.